Your San Antonio adventures begin at our SureStay Hotel by Best Western San Antonio Northeast near Fort Sam Houston. Located off I-35, our location makes it easy to reach downtown shopping, dining, and attractions including the AT&T Center, the Riverwalk, and the Alamo. Experience warm hospitality and top rates at our hotel near downtown San Antonio! Our hotel is located off I-35, near the San Antonio Riverwalk, downtown and the airport, we deliver exceptional service. 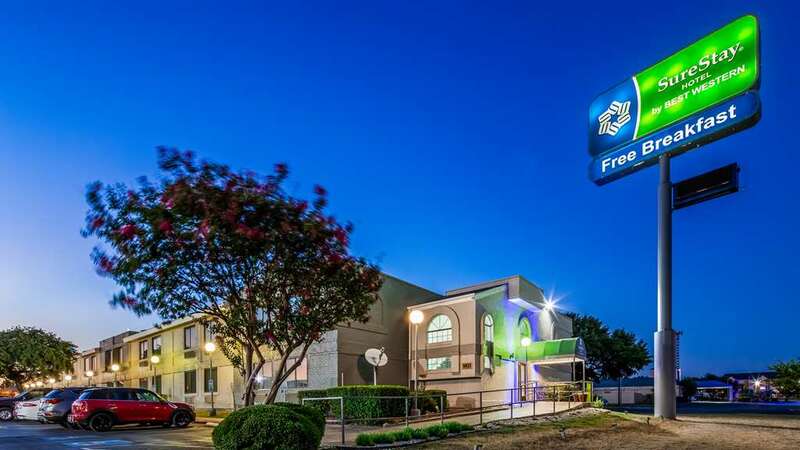 Always stay connected at the SureStay Hotel by Best Western San Antonio Northeast with our free high-speed Wi-Fi and on-site business center. You can take a dip in our outdoor pool and enjoy a morning meal with our free full hot breakfast every day. Were your home away from home whether youre on a family vacation or a business trip. From: Houston. Take the I-10 West Exit 410 North, immediate I-35 South, Exit 31 Binz Engleman, first light straight, second light straight, third light left, fourth light left, stay on access road for .5 mile. The SureStay Hotel by Best Western San Antonio Northeast is on the right. From: Downtown. I-35 North Exit 161 Binz Engleman stay on access road until comes to a dead end at the light, make a left, second light left, third light make a left. The SureStay Hotel by Best Western San Antonio Northeast is on the right. From: Austin. I-35 South Exit 162 stay on access road for about 1.2 miles. The SureStay Hotel by Best Western San Antonio Northeast is on the right.